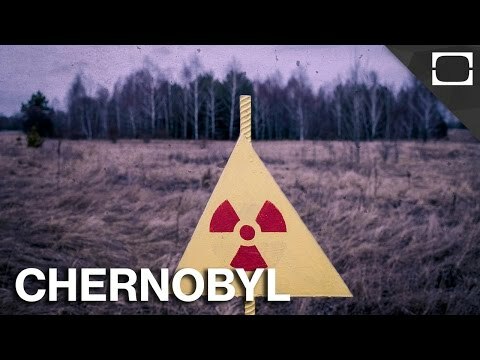 Why undertake daring solo travel to the former Soviet Union republics? (in Central Asia, the Baltic states, Eastern Europe, and Russia, 2015 to 2016): Let’s say you have a twenty-eight-year-old friend whose single. She grew up in Boston, currently lives in your Brooklyn, New York neighborhood. What if she told you her “pipedream” was to travel to eleven (for now) of the fifteen countries once part of the Soviet Union until its collapse in 1991, the majority still autocratic regimes? By herself. For as long as a year. Your friend is candid, so you’re well aware she’s “insanely obsessed with the Russian language and culture (aka all her boyfriends were Russian),” but you hadn’t realized her obsession mushroomed into an “all-consuming passion” to take this crazy trip. What would you say to her? Suppose you also knew your friend takes Xanax for anxiety. Why throw herself into such high-risk, high-anxiety situations regardless of her wildest dreams? Your friend also suffers from motion sickness. She’ll be traveling on planes, trains, cars but figures her Sea-Band bracelets will counteract that. Good remedy, but not nearly good enough for the nitty-gritty of her protracted itinerary you weren’t privy to because she hadn’t planned that far ahead. So of course you couldn’t imagine she’d go trekking by horseback “climbing hills whose surfaces resemble the texture of crumbled paper” into the craggy, ten foot mountains of Kyrgyzstan. Audacious at best, particularly since the friend we’re talking about – Audrey Murray – had an episode of “high-altitude cerebral edema” at fifteen thousand feet. All this happens to Audrey Murray a mere fifty pages into her 400 page memoir! She always wanted to be a writer. Did she have to go to the ends of the earth to accomplish that? Murray is someone who walks the talk. “Nerves are the whole point,” she says. Overcoming her worst fears offers her an enormous sense of accomplishment and boost of self-confidence, which she’s in need of when she sets in motion her “dreamy” idea. The gist of the author’s backstory: Murray was living in New York, then moved to Shanghai for four years SAT tutoring and founding a comedy club. Two years later she’s at a crossroads. Should she settle down, listen to her biological clock, parents, the path her peers were taking, societal expectations? Or, keep pursuing her curiosity and desire “to see life as being about the journey not the destination”? Murray’s push and pull struggles as she enters her thirties are perhaps universal, but the striking journey she took anything but. Shanghai is key to understanding why she took this plunge. Murray is obviously not new to throwing herself into the anxiety fire. Stand-up comedy is hard enough without attempting to tell jokes to an audience whose native language is Chinese. Gutsy. Shanghai is also important because of that boyfriend thing. Murray had two Russian boyfriends – Oleg and Anton. Anton’s the one who haunts her, leaving a “dullness to everything.” They met in Shanghai; he’s also a comedian. Their break up two years before she flew to Kazakhstan to launch her Soviet-inspired trip coincides with those last two unsettling years in New York. Anton is from Belarus, which accounts for Murray feeling: “of all the countries on Earth, Belarus is the place I’ve longed for the most.” Almost in the same breath she notes it’s “an isolated, authoritarian state said to most closely replicate life behind the iron curtain.” Daredevil that she is, she misses the intimacy of Anton terribly, fears she’ll never find another love like that. The poignancy of these emotions are ever-present. Poignant prose the heartbeat of her debut memoir. Given Murray’s unorthodox itinerary, it’s staggering how “severely underprepared” she was. She did not overprepare to lessen anxieties like obtaining, in advance, all the visas she needed! Visas from countries like Belarus and Russia, notoriously difficult to obtain. The “tour fanatic” could have signed up for a tour run by a reputable travel company that would have handled the visas for her. Prearranged group excursions would mean the author could not have been gone as long she was (nine months by my count), and they cost a small fortune. Though for this independent spirit, feeling constrained may have been the strongest motivator. You might assume the traveler would have packed as light as humanely possible traversing so many countries, cities, dicey border crossings, hauling luggage on so many different types of transport, trains more than any other. Murray did not pack light. Her oversized baggage drew countless strangers to assist her. Their kindness surprises her over and over again. The writer is an amiable, romantic soul. Everywhere she goes she meets strangers: from the “hopeful and hopeless” former Soviet places they live in to adventurers from Europe and elsewhere, many couples. All while encountering numerous language barriers (Murray studied Russian for six weeks, but soon learns an hour a day fell woefully insufficient); cultural misunderstandings; and the baffling, constant exchanging of currencies, stunning devaluations when converted. For instance, 200,000 Belarusian rubles equals $1. The friendliness of foreigners also holds true for the varied hosts of all the accommodations she stays at: hostels, guesthouses, Airbnbs, yurts, a goat-herding camp, and with so-called couchsurfers who open their homes freely to foster authentic cultural awareness. (Can’t say that for the secret police hotel, but miraculously that worked out too.) Murray is on the lookout for connections, be it female friendships or perhaps another Russian love. Wide-open to possibilities, anything could happen. Like a dreaded travel fear: being kidnapped. As the author describes the frightening scene she found herself alone in, in a self-styled taxi driven by a male with a male friend seated beside him (shared taxis generally the rule), a nightmare she and we conclude was an attempted abduction, not some major language mishap. Harrowing, but it did not deter the intrepid traveler. Who goes on to ride the longest train route in the world, the Trans-Siberian Railway. For a month! Careful to portray only the most salient aspects, we learn there’s six legs on the Mongolia-to-Moscow route Murray chose (three options). Some span as long as twenty-three hours and more, with stopovers at five Russian cities. Except for the final destination, all unpronounceable and unknowable, certainly to me. In fact, the whole trip is hard to imagine. 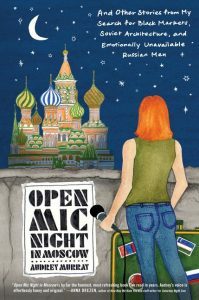 Making Open Mic Night in Moscow a window into the unimaginable.